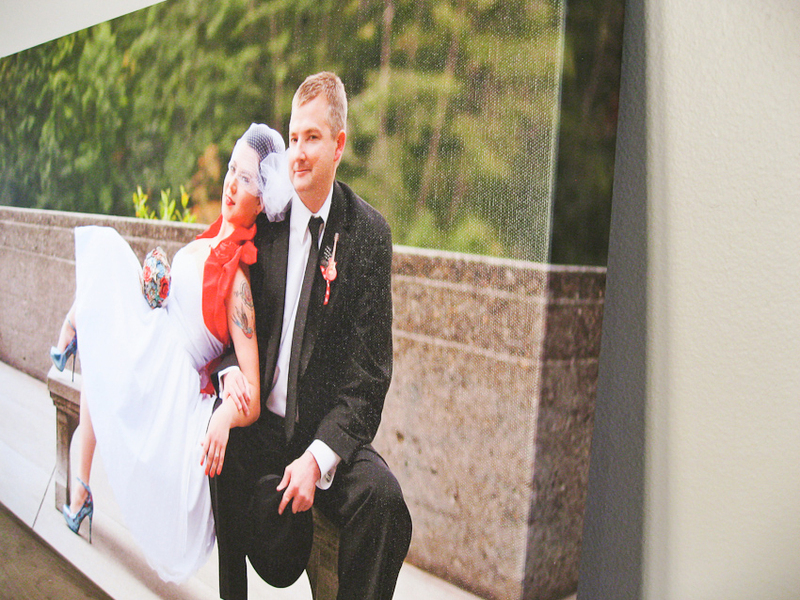 Today I wanted to share a few photos of the 16×24 canvases Eric and Erica ordered from their wedding photographs. Ironically, I received these canvases in the mail the day after I sent off all of our camera gear to Canon Professional Services for a yearly check, so I had to take pictures of them with my little PowerShot Elph. That thing just really can’t compete with the big dSLRs! So, excuse the quality of these photographs. 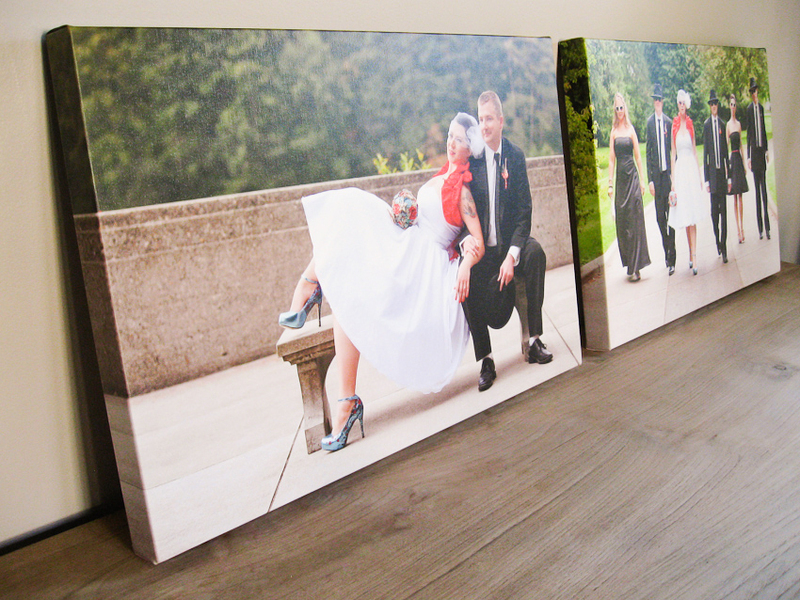 I seriously loved on these canvases though… they were just gorgeous, high-quality, and perfectly assembled. Have a look!